Welcome to Volkswagen of Gainesville, your premier Volkswagen dealership in Gainesville. We are a dealership that is committed to serving our community and creating the ultimate shopping experience for all of our customers. Our sales team’s main goal is to help you find the right Volkswagen to fit your budget and lifestyle. We won’t push you to purchase something you don’t want. Instead, our team will listen to you and present options that may work best for your situation. We have a large selection of New, Used, and Certified Pre-Owned Vehicles for you to choose from. We guarantee you will find just what you are searching for. We also have an excellent team of finance professionals and trained service technicians available to assist you with any of your Volkswagen needs. Visit Volkswagen of Gainesville today and drive away in your dream car. Whether you’re in the market for a brand-new car or want a selection of used cars in Gainesville, we’ve got you covered. Our showroom is filled with the latest Volkswagen models as well as a great inventory of high-quality Certified Pre-Owned vehicles. Our sales team wants to ensure that you find exactly what you want so you are happy with your purchase for years to come. If you need a simple compact car, check out the new Volkswagen Jetta or the new Volkswagen Golf. Have a large family? Try out the spacious new Volkswagen Tiguan or the new Volkswagen Atlas. When you purchase a Certified Pre-Owned vehicle from us, you will have peace of mind knowing that they are put through an intense inspection process that is set by Volkswagen. Our customers only deserve the highest quality vehicles whether they’re brand new or used. You can test-drive your dream Volkswagen vehicle at Volkswagen of Gainesville today. Excellent customer service doesn’t stop with the sales team at Volkswagen of Gainesville. It transcends offices into our Finance Center. We have a team of qualified finance professionals who are prepared to help you through the finance process. They know the ins and outs of all the finance options we have available and will assist you with choosing the right one for your budget. The goal of our finance experts is to guarantee your happiness with your financing choice so that you know you made the right one. We have an array of finance and leasing specials to choose from. If you have any questions pertaining to the finance options available at our Gainesville car dealership, feel free to call our finance center and speak with our professionals today. When you need any auto repair services for your Volkswagen, you can trust the certified technicians at the Volkswagen of Gainesville Service Center. We offer routine maintenance, such as an oil change service or tire rotation, to more complicated auto repair, such as transmission services. Our technicians will treat your Volkswagen vehicle as if it was their own, and they’ll repair it in an efficient and timely manner to get you back on the road. We have a selection of Coupons and Specials for our maintenance services so you can save where it matters. Schedule Your Next Service Appointment with us today, or call the Volkswagen of Gainesville service center for any questions you may have. 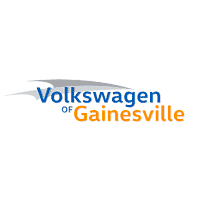 We are the premier car dealership for Volkswagen auto repair in Gainesville. When you come to Volkswagen of Gainesville, not only do you get an amazing car and customer service, but we’ve also got you covered with the Volkswagen of Gainesville Advantage and the People First Warranty. The Volkswagen of Gainesville advantage includes benefits such as lifetime car washes, one free oil change and a 10-year/100,000-mile warranty*. The incredible People First Warranty covers your vehicle from bumper to bumper for 6-years or 72,000 miles*. This limited warranty is also transferable if you choose to sell your Volkswagen. Volkswagen of Gainesville also offers the Lifetime Warranty available on all new and used cars sold! This Warranty covers the engine, transmission, drive axle, and much more. See the details for yourself today! If you’re looking for a new Volkswagen in Gainesville, there is no better car dealership than Volkswagen of Gainesville. Each of our teams are committed to giving you the customer service and shopping experience that you deserve. We will respect you and your vehicle as if it was our own. Become a part of the Volkswagen family and visit Volkswagen of Gainesville today for all of your auto needs. *10-year/100,000 warranty on USED vehicles only. Some restrictions apply. **3 Day Exchange policy on a vehicle of equal or lesser value. Mileage cannot exceed 250 miles. See dealer for complete details. * 6 years/72,000 miles (whichever occurs first) New Vehicle Limited Warranty on MY2018 and newer VW vehicles, excluding e-Golf. See owner’s literature or dealer for warranty exclusions and limitations.